Purchasing a new home is one of the biggest, most significant investments you will ever make. Which is why picking the right builder has never been more important.  At FarSight we're a family business, and as such we take great pride in the homes we build and the level of quality and value that goes into each and every residence. We're also extremely proud of the associations and partnerships we've made, and continue to make, as we work towards becoming the very best at what we do. 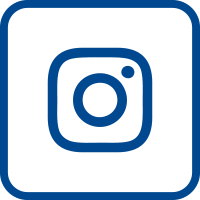 The Building Industry and Land Development Association (BILD) is the voice of the home building, land development and professional renovation industry in the Greater Toronto Area. Our industry members design, sell and build quality complete communities where people live, work, play and shop.  With more than 1,500 member companies, from all corners of the industry, BILD is the largest home builders' association in Canada, and we are affiliated with the Ontario Home Builders' Association and the Canadian Home Builders' Association. With more than 60 years of experience in the building business, The Simcoe County Home Builder's Association (SCHBA) is there to assist you to: build a new house, renovate an existing home, or, become a better Builder, Renovator, Trade Contractor, or Supplier to the residential construction industry. FarSight's Bob Schickedanz has played an active role in the SCHBA for the past six years - and is currently the Association President - and like the Association, remains committed to residential construction excellence throughout the Greater Barrie area and beyond. The Durham Region Home Builders' Association (DRHBA) is the voice of the residential construction industry in Durham. DRHBA is an advocate for choice in housing, everything from high-density to country living can be found here. One key aspect of their mission is to protect home buyers by calling for the province of Ontario to keep government-imposed charges reasonable and, helping young families especially to be able to afford newly constructed homes and custom builds. FarSight's Johnathan Schickedanz is currently a Director for the DRHBA. The Ontario Home Builders' Association was formed in 1962 with 10 locals to give residential builders a voice in the provincial government, facilitate changes in the industry and provide networking opportunities for home-building businesses, suppliers and services. The OHBA represents individuals and companies in several fi elds across the industry, including: builders, developers, professional renovators, trade contractors, manufacturers, consultants, marketing companies and suppliers. Since 1943, the Canadian Home Builders' Association (CHBA) has been "the voice of Canada's residential construction industry." Representing one of the largest industry sectors in Canada, its membership is made up of over 8,500 companies - including home builders, renovators, land developers, trade contractors, product and material manufacturers, building product suppliers, lending institutions, insurance providers, and service professionals. For more than 40 years, Tarion has provided new home warranty protection to more than two million Ontario homes. Tarion serves Ontario's public interest by enhancing fairness and building confi dence in the new home buying experience. As a testament to FarSight's dedication to quality new home design and superior customer service, the company has earned an Excellent Service Rating from Tarion Warranty Corporation and has been a member in good standing since 2002.